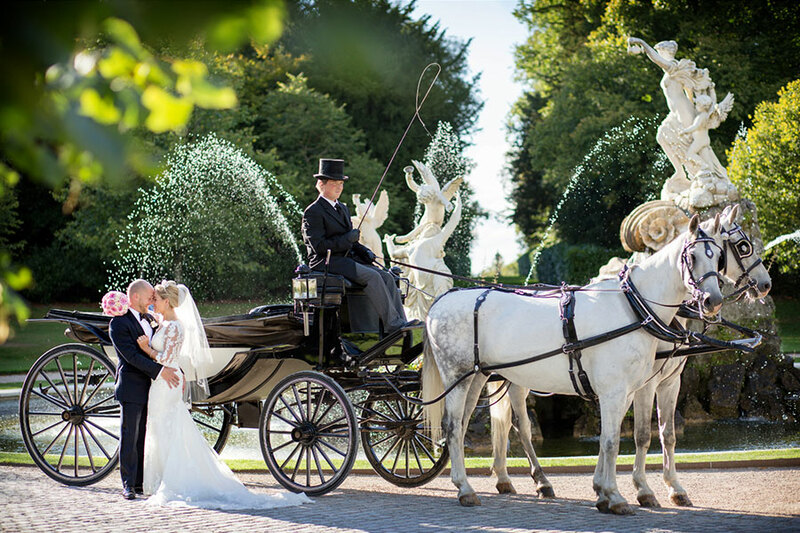 For weddings we can provide a variety of luxury 4 seat Landau Carriages with pairs of stunning white, black, or chestnut horses. The Landaus can be used open or the retractable hood and side windows can be raised quickly converting the carriage into a weatherproof coach, ideal for the unpredictable British weather. 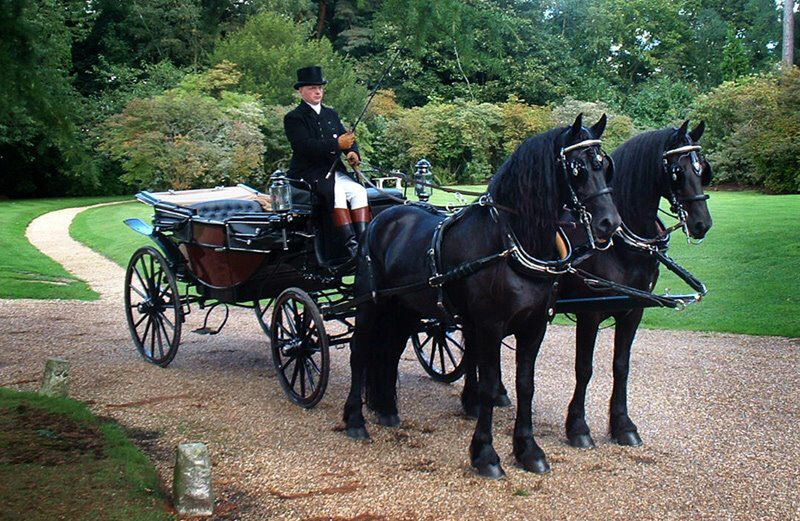 We also have country style carriages & even a Cinderella Style White Carriage.The carriage is driven by an experienced Coachman and Groom suitably attired for the occasion. We love taking the bride to the wedding venue and then the ‘newly weds’ on to the reception venue, but if mileage is an issue we can always meet the wedding car part way for a car to carriage changeover. If the distances are short we are happy to take the bridesmaids by carriage first and return for the bride. The choice is yours! On the day our priority is your safety, relaxation and enjoyment. We are fully insured and know the importance of timing and only undertake one event per day. If you would like a quotation just drop us an email info@ascotcarriages.co.uk or use the contact page, we just need to know the date, venue address with postcode and we will be happy to quote and send photos of the carriages available. Or call Joanna 07811 543019 to discuss your requirements. We recommend carriage journeys are no more than 2-3 miles each stage, with a max distance of 6 miles in total, as a 2 mile journey can take 20 mins. 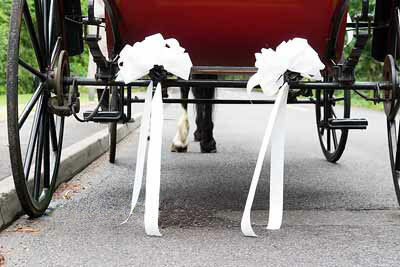 If the proposed distance is too far for comfort we can meet your wedding car at a designated place for your to take a romantic carriage ride for the final stage of your journey To ensure success on the day, we survey new routes, check terrain for steep hills and find horse box parking prior to accepting a booking. Thank you so much for all you did at the wedding, what you and smiler did was wonderful it really made the day, Sam and Mike thought it was the cherry on the cake. Sam said she felt like royalty. If ever you need any recommendations please don’t hesitate to give my details. Copyright © Ascot Carriages 2004-2019. All Rights Reserved.